Anyone who knows me knows that my dream would be to gift to my girls the world; a life filled with adventures. Of all the things I could give them, aside from kindness and tolerance, I’d love to introduce them to different cultures. I’d love to raise good human beings who were strong, independent. Teen travel is so important. Start them young as babies and your vacation with teens will be an adventure you can share together. It’s a very different life when you live in a bubble compared to when you’ve seen the world. I know it’s not possible or probable for most and I know that some people don’t care about global citizenship the way or to the degree that I do. It probably has a lot to do with my father not being from this country. It probably has more to do with spending my summers in Mexico. This has always caused me to be more enthusiastic and open to adventure. Having a father whose first language was not English, made me more patient and tolerant of those who didn’t speak English. It made me want to learn other languages so that I could understand and communicate with others. This is why I spoke 4 languages by the time I graduated from college. I appreciate the differences in people, places, and things. It’s more interesting to be surrounded by difference than sameness. My girls are falling into this same pattern. They see differences as an endless possibility for adventure and travel as the ultimate exploration. This is why I am so excited for Adventures by Disney. They have something for every family member. As you know as a reader of my multiple posts about our trips to Disney World, Disneyland and on Disney Cruise line, we love Disney. The thing is you can take a short escape or a long one. You can travel in the United States or internationally. It really is a choose your own adventure Disney style and as anyone who has ever been to the happiest place on earth can attest to every adventure by Disney is different. Make of it what you and your family will. Adventures by Disney offers many different destinations and new ways for travelers to experience the world’s most remarkable destinations with guidance, which is always nice especially if it’s your first time in a city or country. Teen travel is exciting and hectic because not only are our children changing at a dizzying pace, showing them the world is amazing. Adding a guided vacation with teens allows you to eliminate the frustration and just enjoy your time together. In 2019, Adventures by Disney travelers will experience the captivating culture and rich diversity of Japan during a brand-new itinerary, with expeditions ranging from ancient locales steeped in tradition to fast-paced modern cities. Adventures by Disney collaborated with the Japan National Tourism Organization to create a trip that is both culturally authentic and deeply immersive. Whether exploring a breathtaking bamboo forest, centuries-old temple or high-tech metropolis, vacationers will be fully immersed in the ancient customs and storied traditions deeply rooted within this cultural wonderland. During this 11-day, 10-night itinerary, travelers will visit Kyoto, Osaka, Takayama, Hakone and Tokyo. In 2019, a reimagined Alberta, Canada itinerary will offer all-new adventures in Calgary, before traveling to breathtaking Banff National Park and the stunning Lake Louise. In Calgary, travelers will be welcomed as honorary citizens during a traditional ceremony before visiting some of the area’s ranches and farms. Banff is one of the most beautiful places in the world that I’ve ever traveled to. I’ve not taken my family there yet. When I went I came home with an entirely new outlook on life and appreciation for natural beauty. There is something about standing amongst ancient glaciers and surrounded by pristine nature that makes you feel so small and lucky at the same time. Banff is on my family travel bucket list. I think this Adventure by Disney would be perfect for my family. Adventures by Disney also recently announced an array of offerings that can be added to a Disney Cruise sailing. Talk about the ultimate land and sea vacation. In 2019, travelers can journey to unforgettable locales such as Barcelona and Copenhagen. All while enjoying renowned Disney service and storytelling. Can you even imagine? READ ALSO: Everything You Need to Know about the Disney Dream. 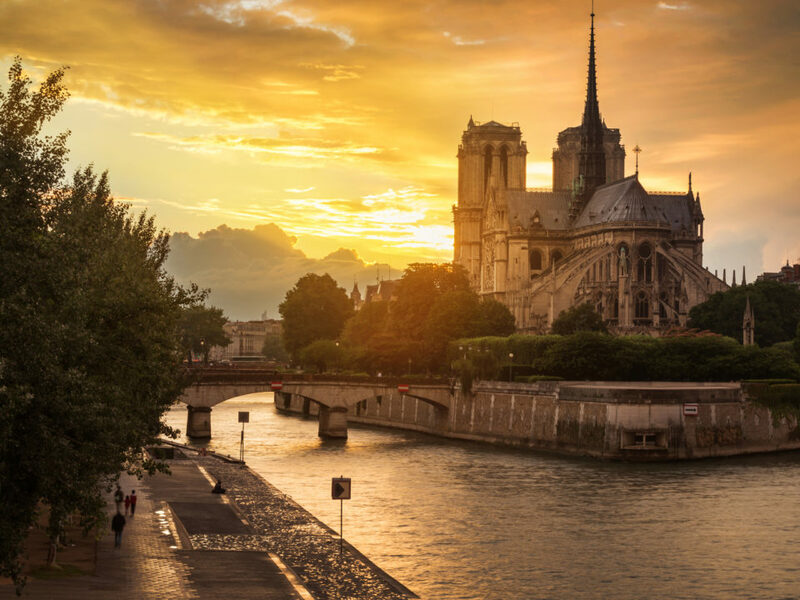 These unforgettable trips join dozens of Adventures by Disney vacations worldwide, including a new itinerary on France’s Seine River. Revel in the beauty of the sites of Paris while engaging in immersive activities for the whole family. Paris has been on my travel bucket list since I was in 7th grade. The 2019 Adventures by Disney land tours feature a wide variety of vacation destination options, something for every traveler. Families will find a wealth of unforgettable moments imbued with special touches that are uniquely Disney. If you prefer s short trip how about a best of Boston adventure? Treasured American history and contemporary culture come to life in Boston on the new Short Escape itinerary. Guests are immersed in the city’s legendary stories. During a privately guided tour along the Freedom Trail, families follow 18th-century costumed guides back in time. A private, after-hours tour of the Old North Church places travelers in the famed footsteps of Paul Revere, while another special after-hours visit to the Boston Tea Party Ships & Museum concludes with a private dinner steeped in the city’s storied roots. Other family-friendly excursions and activities include rowing along the Charles River and biking the city on a private sightseeing tour. Perfect for teens are exploring the grounds of Harvard Yard. Perfect for the entire family, indulging at a private New England clambake on Thompson Island. I can tell you from going here every year with our children, there is no shortage of things to do in Boston. You could go back time and time again and still find things to do. Looking for the ultimate family vacation that’s teen friendly? Whether you prefer beaches resorts or outdoor adventure, Adventures by Disney has you covered. What are you waiting for? What Adventures by Disney trip would be perfect for you and your teens?